Founded in 1996, Makuta Micro Molding is 100% U.S. owned and operated. We’re located 20 minutes east of Indianapolis, Indiana, in the town of Shelbyville. Our plastic injection molding facility, which was specially built in 2007 to house our lights-out micro molding operations, operates 24 hours per day, 7 days per week. Consistently at the forefront in the field of micro injection molding, we produce molded plastic parts with features as small as 20µm (microns). Makuta, Inc. is a member of the Sansyu Group of micro molders, the oldest and largest micro injection molding company in the world. In addition to Makuta, the Sansyu Group has eight other facilities: two production facilities and one mold making facility in Japan; one production facility in Hong Kong; a design and prototype facility in Singapore; two production facilities in Indonesia; and one production facility in the Philippines. 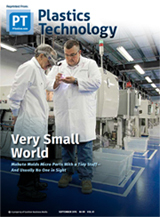 The Group runs over 500 high-precision Sumitomo micro injection molding machines. As a member of the Sansyu Group, Makuta has access to unique research and technology that can be specifically tailored to meet customers’ requirements worldwide. Makuta, Inc. is ISO 9001-2008 certified and audited to ISO 13485 medical. We are the only micro injection molding company in the world that is certified to manufacture products made with DuPont™ Vespel® materials. Our entire state-of-the art manufacturing facility is climate controlled to 72°F (22.2°C) 365 days per year, and ISO certified as a Class 8 clean room under the newly revised standard ISO 14644-1:2015. The result is an extremely stable injection molding environment, an important factor in helping us achieve zero-defect manufacturing. State-of-the-art equipment can be found throughout our facility, from high-precision all-electric injection molding machines to customized precision robotics, automation and packaging systems. To help us ensure defect-free micro-molded products, we use proprietary production monitoring cameras and systems as well as highly sophisticated process control systems that track numerous parameters for each individual shot. If any parameter varies outside of its predetermined range, the part is automatically rejected. Throughout this website you can read about our specialized plastic injection molds, precision micromolding capabilities and the markets we serve. Photos of many of the parts we injection mold are also provided to demonstrate the diversity of micro parts we produce and the challenging requirements we meet for our customers. Makuta operates under the direction of Stu Kaplan, whose family has been in manufacturing since 1909. Much of Kaplan’s knowledge and background in micro injection molding technology comes from having lived and worked in Japan. While Kaplan directs the company, Makuta truly functions as one, fully integrated team. In the challenging field of micromolding where parts continue to get smaller and more complex, continuous improvement is of paramount importance. But Makuta also has an overall goal: “To Make Our Lives Better.” This goal is demonstrated through the types of micro parts the company molds, the education of its employees and the company’s involvement in the plastics industry and its community. Our partners realize the benefits of working with Makuta and our experienced team. That’s what sets us apart from typical micro injection molding companies – our talented group of people. Our culture is focused on those people, how they work within our team and ultimately how we provide extraordinary, world-class service. Every team member must be able to function in an atmosphere that expects everyone to be active and accountable for meeting our customers’ requirements. Each and every employee has the opportunity to participate in the decision making process and push the traditional boundaries of the manufacturing process. Stu Kaplan is a member of the board of MAPP, the Manufacturers Association for Plastics Processors, and is a past president of the organization. Kaplan also is a former member of the board of directors of the Medical Plastics Division of the Society of Plastics Engineers. Makuta, Inc. is an associate member of the Indiana Medical Device Manufacturers Council and a member of the Manufacturers Association for Plastics Processors (MAPP).